Dear Readers, there are some plants which are exquisite in every season. Take the guelder rose, for example. At this time of year, it is dripping in shiny red berries. As the year progresses, the leaves turn to shades of red and copper. 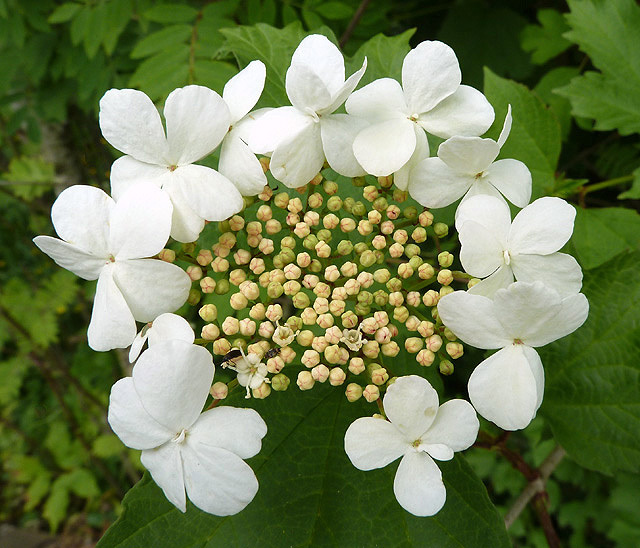 And in the summer, the plant has flowers that resemble those of a lacecap hydrangea. Guelder rose is actually not a rose at all, but is a member of the Moscatel family (Adoxaceae) which includes other viburnums and elders. It is native to a broad swathe of Europe, northern Africa and central Asia,and a related plant, Viburnum trilobum which is native to North America is thought by some botanists to be a subspecies of ‘our’ guelder rose. The plant is one of the national flowers of Ukraine, where it is known as Kalyna, and the red berries are associated with fertility, health and, in Slavonic pagan beliefs, with the birth of the universe. ‘Oh, the red viburnum in the meadow’ was a marching song of the Ukrainian Insurgent Army. ‘Kalyna’ also referred to the hymen, and the bride’s bloodied nightshirt which was paraded in front of the guests on her wedding night as proof of her virginity was called a ‘kalyna’. It’s safe to say that guelder rose has a deeply symbolic value in Ukraine, becoming synonymous with the nation and with its people. 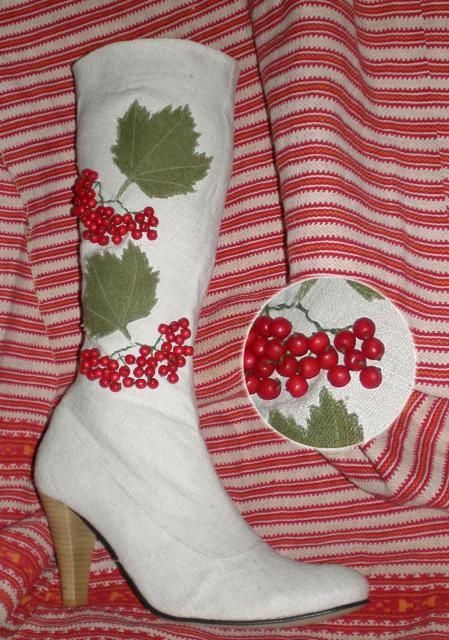 The berries of the plant turn up everywhere, including on these rather fetching boots. 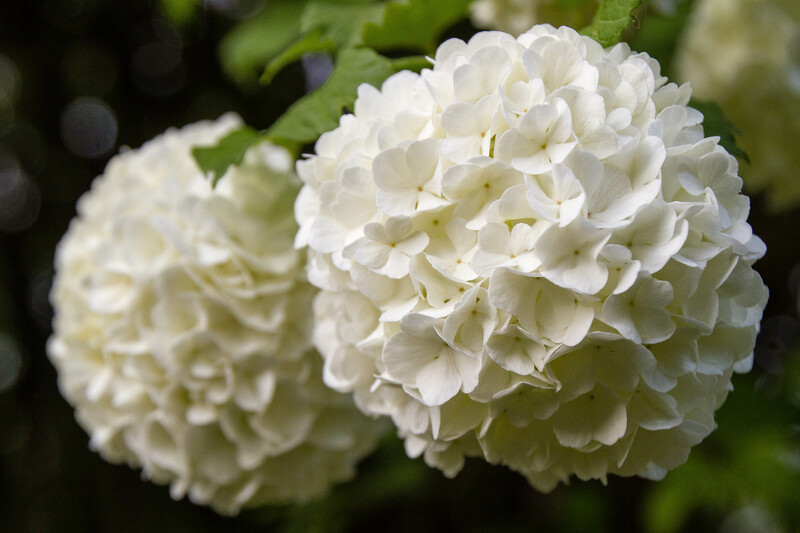 The name ‘guelder rose’, however, is thought to refer to the Dutch province of Gelderland, from where a popular cultivar of the plant, the snowball tree, originated. 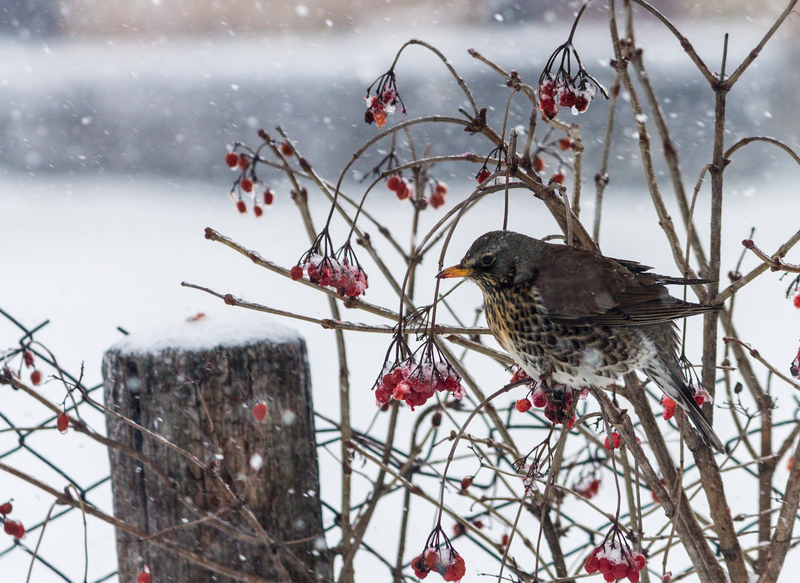 Those red berries look delicious, and are indeed favourites of thrushes and the bullfinch. Humans can eat them too, in small quantities, although they are reputedly very acidic, and prone to causing diarrhoea. If used at all, they are generally turned into jelly to accompany cheese and cooked meats. 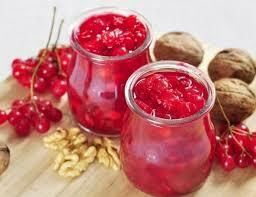 In keeping with our Ukrainian theme, you can find a recipe for guelder rose jam here. The berries have also been turned into brandy and even into a cocktail. 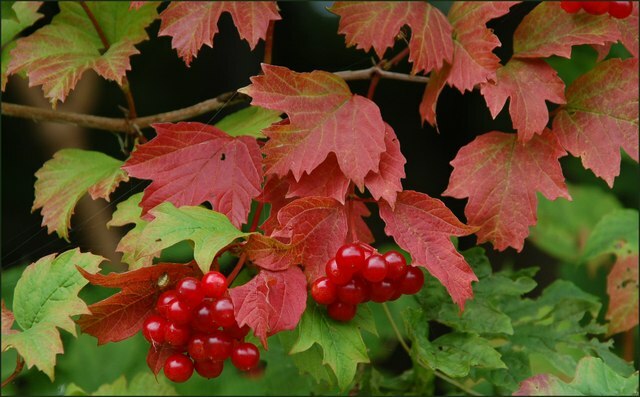 One alternative name for guelder rose was ‘cramp bark’, and an infusion was used to treat all kinds of cramps and muscle spasms, including menstrual cramps and the symptoms of lockjaw (tetanus). 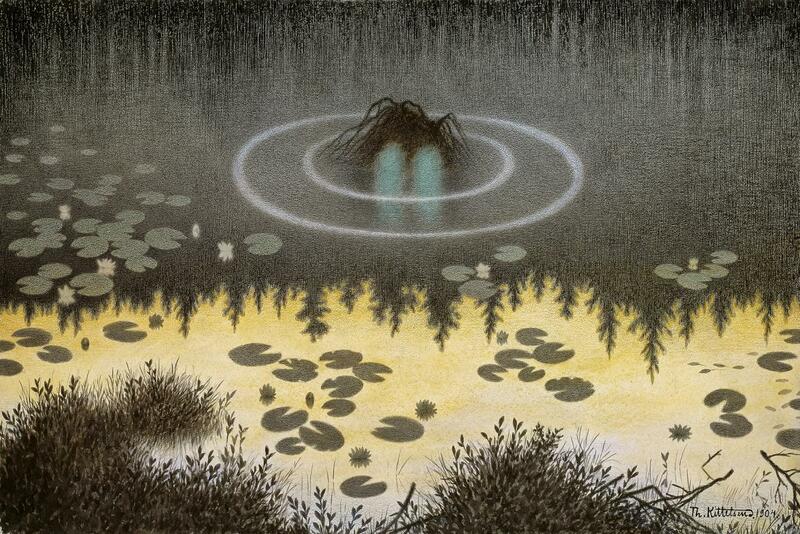 In Scandinavian mythology, guelder rose was called water elder, and the water spirit, known as the Nix, was said to wait under the plant and play enthralling music. When someone stopped to listen, they would be grabbed and pulled under the water unless they already had a sprig of the plant in their pocket. And now to a poem. There is something in this one that puts me in mind of the train journey from London to Dorset, where my parents live, and of the interminable hours spent looking out of the window, lost in thought and yet suddenly brought back by horses running in the New Forest, the sea, a field of loosestrife and golden rod. 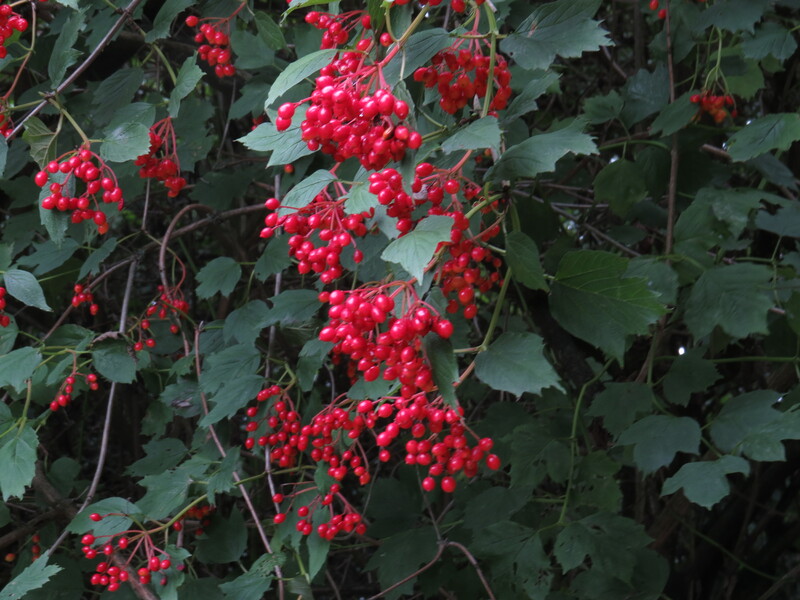 And, of course, guelder rose. from falling into the ocean? diffuses particles, the sky is pinked. This earth. This shining in the sea. This entry was posted in London Plants on September 12, 2018 by Bug Woman. A beautiful blog post which I have forwarded to my Ukranian friend. Thank you Gert, I hope that your Ukrainian friend likes it….I visited Kyiv a few years ago for work, and was very taken with the country, and the people. Well that’s fascinating! I had always thought Guelder Rose was poisonous! Thanks for your continually interesting posts btw – I may not always comment, but I read often! Thanks, Vornster, I’m glad that you’re enjoying the blog. I’m enjoying your photos too! I love the poem. Just reading the words “along traintracks that run from Devon to Cornwall” makes me feel I’m gazing straight out to sea as the train hugs the coast at Teignmouth. And like you, I also travel regularly through the New Forest, and so the image of running horses resonates with me too. When my son was little, he liked to look out of the window when we reached the New Forest stage in our journey, and count how many horses he could see. Wow! I am aware that there are many viburnums and relatives of viburnums that I never met here, but that one is remarkable. Only a few that I know of make pretty berries. None are as big and colorful as these. They sort of look like big red elderberries! It is a very beautiful shrub, but often overlooked for some reason. I am trying to work out how to find room for one in my (overcrowded) garden. New cultivars of viburnum are becoming available, but I have not been impressed by them.